Shwe Myanmar Room is the best room sharing and properties website for Shwe Myanmar people who live in Singapore. Living and searching room in Singapore is not easy way and finding suitable roommate is also difficult. Early 2008, we started to launch room sharing website as Gigocity.com. As a name of Gigocity.com, is difficult to memorize and after Shwe Myanmar Room started in mid of 2008, we have changed Gigocity.com to MyanmarRoom.com. In a short time, Myanmar Room is getting more popularity. According to Google Analytic Static report, over 160,000 peoples in Singapore are using Myanmar Room and total daily traffic is hitting to 1500 unique visitors per day. 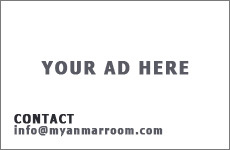 For Myanmar Room user request, it is time to change Myanmar Room as classified advertisement website.